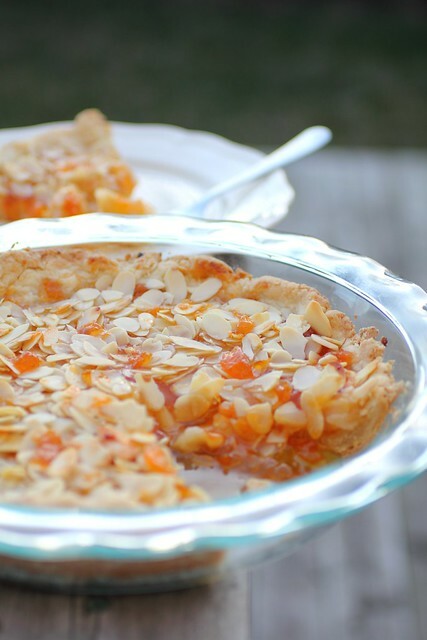 Adventuress : Almond and Apricot - a winning combo. Sometimes I get into the kitchen without a recipe and just wing it and this is one of those times! 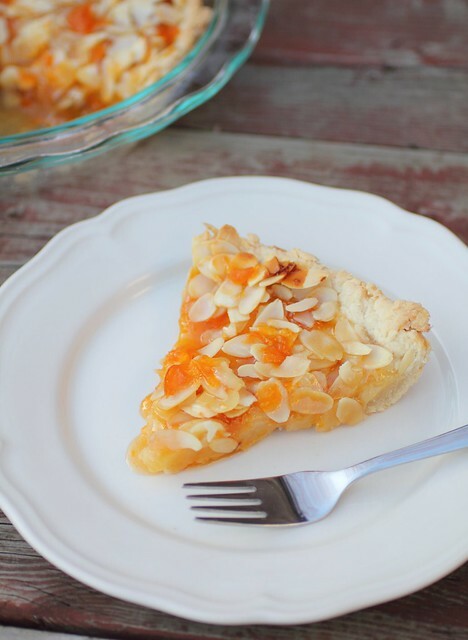 This is an apricot almond tart and it is comprised of a few layers and a few secrets. I had a chunk of cream cheese on hand and worked it into the dough (lessening a bit of the butter) and added a few drops of almond extract (I was in the mood for almond but you can omit it) to make the crust, then it just got pressed into a round pie dish, nothing fancy, just say it's rustic! 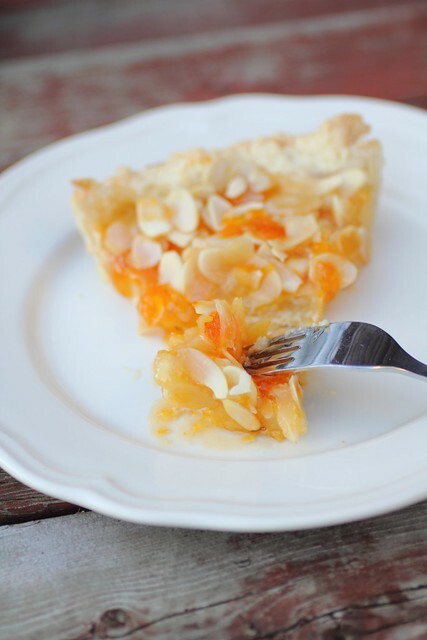 I rolled out a thin sheet of marzipan and set that onto the pie dough then a layer of apricot jam went over and finally a whole lot of sliced almonds. I also mixed up a bit of the jam with water and brushed it over the almonds so they don't burn. Baked at 375 F until the crust is golden on the bottom and edges. Let it cool and enjoy, tastes even better the next day!